Enjoy the Luxury of Our Complete Managed Domain Name Registration and DNS Hosting Services. While You're Here, See If Your Next Domain Name Is Available. 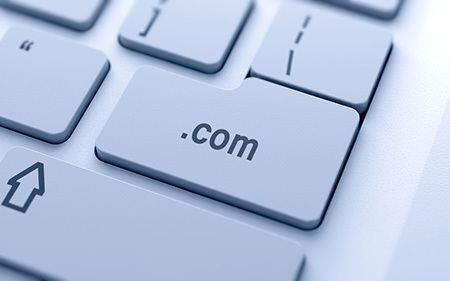 The cornerstone of every website is its domain name. NetMinistry Web Presence Platform offers complete domain name services perfect for organizations that want to just "leave it up to the tech guys." All of our domain name services are comprehensive, hand-off services that make it easy to create and maintain your domain name portfolio. Through our managed domain name registration service, we will take care of registering your domain names for you and maintaining your renewal schedules. In addition, our registration service provides built-in privacy protection, insuring that your registration information is not publicly accessible without your specific request. We provide all of these features at a competitive price that is lower than you might expect from such an advanced service. Domain names need to point to DNS servers in order to tell the world where web and e-mail traffic needs to be directed to. Our DNS hosting service provides us with the ability to manage the routing of your domain and related subdomains with ease. We provide personal, full-service DNS record management as well as automated services through our various online interfaces. Manage A NAME, CNAME, MX, SPF record, and more. Best of all, we can provide this service no matter where your domain name is registered and regardless of where you are hosting email or web services.